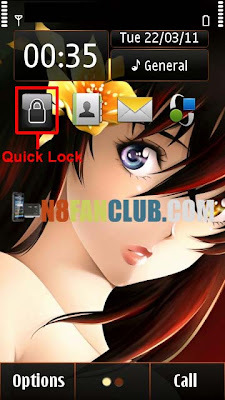 Quick lock – lock you home screen with one touch. Simply activates the phone keypad and screen lock immediately. Can be used as a shortcut to lock the phone quickly. Compatible with S^3 / Anna / Belle Smart Phones.